This new construction site at 76th and 132nd East Avenue were victims of copper theft. 04/17/2019 – Reports of copper theft in the Owasso area are on the rise. Robert Bowers sent us the photo of the construction site above, where a copper theft has been reported. Owasso Deputy Chief of Police Jason Woodruff tells us there have been a string of copper thefts recently in Rogers County which is being investigated by the Rogers County Sheriff’s Office. 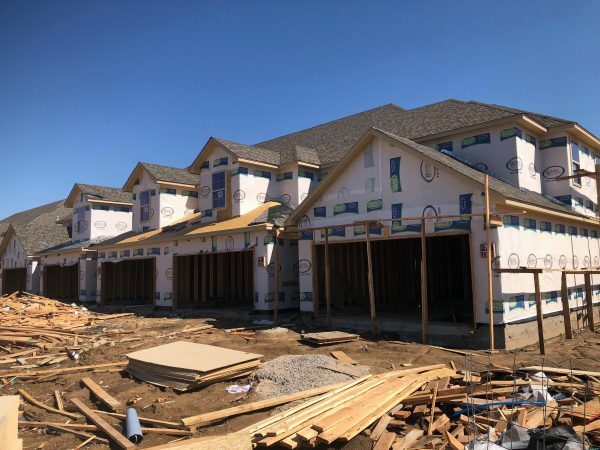 Woodruff said a theft was discovered in Owasso while officers were randomly checking construction sites on April 15th around 11:45 PM near 76th and 132nd East Avenue in the Villas at Stonebridge. Officers found a house under construction that looked like the copper pipes had been cut and piled up in the back yard, but not yet taken. Police called the builder who confirmed the attempted theft, but no arrests or suspect were located in the area. Woodruff says officers possibly scared them off or that they may have planned to return later to collect the metal. Owasso Police also took a recovered stolen property report at about 3:00 AM that day. Another officer found a pile of copper pipes near 12300 East 91st Street North that may have come from a construction site in Rogers County. Owasso Detectives continue to investigate.